Dame Sarah Storey may be the most successful British female Paralympian in history, but that fact doesn’t pay the bills when it comes to the day-to-day running of the all-women professional cycling team she set up with husband Barney. Podium Ambition Pro Cycling (Powered by Club La Santa) made its debut in 2016, clocking up some promising results in some top-class races, but lack of funds means the team won’t make it to the start-line for a second season. 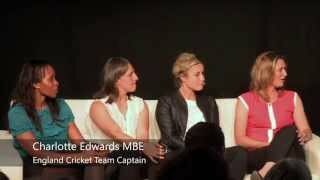 The reasons for the team’s premature demise are sadly all too familiar in the world of women’s sport. Dame Sarah explained: “We have been unable to secure sufficient cash input to remain a UCI-registered team. We spent the last 12 months searching for a title sponsor to start with us from 2017, but despite many brands being interested, there was nothing concrete in place in time for the deadline to register the team again. Not that Podium Ambition are a tin-pot outfit; not when they have Storey riding for them, as well as Olympic champions and world record-holders Katie Archibald and Joanna Rowell Shand signed on and racing. It is, therefore, difficult to understand why no sponsor has committed to Storey’s team. However, when you consider that less than one per cent of sponsorship in sport goes to women, the reason becomes clearer. Storey also points to the lack of women’s sport coverage as a contributing factor to the vast chasm between men’s and women’s sport. “If I knew why brands weren’t signing, I could have tackled the reason and found a solution. But I honestly don’t know,” the 38-year-old said. “All levels of women’s cycling need more investment, more TV coverage, more media coverage. I suspect the lack of live coverage of women’s racing doesn’t help – we don’t have hours and hour of coverage on Eurosport that men’s cycling does. There has been some fantastic coverage of our team on the track with the London Six Day and Revolution Series shown live, and it’s great to see that getting attention. The road side has been tougher, though. This year we speculated and took the chance to show what was possible and it unfortunately didn’t bring the outcome we had hoped. She continues: “Women’s sport just needs enough to be self-sufficient, to allow its athletes to give the sport their full attention without the distraction of part-time work to make ends meet. If you are a professional rider your job extends to more than just riding a bike every day; you have to be prepared to do appearances, promote your team, create content for sponsors, do interviews, look after your bike when you are at home, speak to younger athletes, share your experiences. Hopefully more will see this as a way they can help their sport help them, too. For now, Storey is balancing the media demands of being the holder of a record 14 Paralympic gold medals in swimming and cycling, alongside being a mum and wife, training for the Revolution Track Series and finding new opportunities for next season. But for the veteran cyclist, patience now comes more easily, especially after enduring the gruelling four-year Olympic cycle a record seven times. “It’s going to be a gentler winter while I decide what I want to do both next year and from 2018. The points qualification for the Tokyo Olympics starts in 2018, and by the middle of next year the plans should be decided. The benefit of experience is that I can take my time and I will be stronger mentally for it. “It is a long cycle through to Tokyo and as I have learnt from previous Games, getting back into it slowly can be a huge advantage. I know of team-mates who were completely drained, both physically and mentally, after Rio and not really able to enjoy the break immediately. I completed the Games with a need to rest and recuperate, but without the desperation to get away from it.